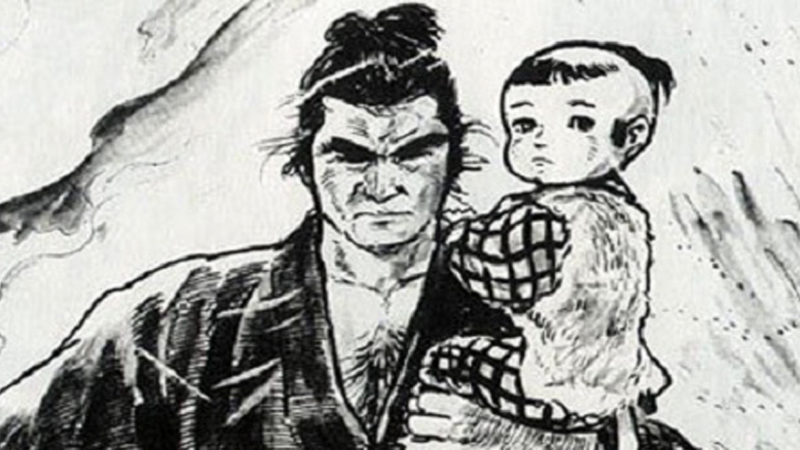 Image: Lone Wolf and Cub art by Goseki Kojima. Rumors have been circling about Western adaptations of Kazuo Koike and Goseki Kojima’s seminal manga epic Lone Wolf and Cub for years at this point. But the latest attempt is now underway at Paramount, with a little help from Fast and Furious and Star Trek Beyond’s Justin Lin. Originally published in Weekly Manga Action between 1970 and 1976, Lone Wolf and Cub followed the cross-generational story of Ittō Ogami, an executioner for the Tokugawa Shogunate in the Edo period, which took place from the 17th to mid-19th centuries. At the start of the manga, Ogami is betrayed as the machinations of rival clans see his wife and family slaughtered, save for his newborn son Daigorō, leading the fabled warrior and his child to wander Japan as assassins-for-hire. Since its publication it’s been seen as a hugely influential piece of work in Japan, and widely lauded for its detailed historical accuracy, its faithful rendition of classic Japanese art styles, and its reverence for Bushido, the Samurai code of honor. It’s already been adapted for Japanese film and TV, but Lone Wolf and Cub has also been considered for Western adaptations many times over the years. At one point Darren Aronofsky was attached to a potential movie at Paramount, and last year rumors swirled that the production team behind the lackluster Ghost in the Shell reboot was planning a movie, complete with an awkwardly-worded “essentially Japanese cast.” Now the latest attempt falls to Justin Lin—who has been linked to previous attempts to get the movie up and running—and his production team at Perfect Storm. As well as producing, Lin is expected to direct the movie, while Seven writer Andrew Kevin Walker will tackle the script. Given recent... let’s say poor reactions to how Hollywood has chosen to adapt Japanese media recently, a project like Lone Wolf and Cub is fraught with potential dangers. Hopefully Lin and company will be able to do this beloved manga justice.